So the other postings of introductions lately have given me the courage to step forward, so - hey there. The name's Youngster Joseph, but you can just call me Joey. ;D I collect - you guessed it - the top percentage of Pokemon! RATTATA! I know, I know. WHY Rattata? Why that annoying little brat who won't stop popping up in every route? Well, to be honest, I'VE NO CLUE! Rattata has been my favorite for ages and ages, and I love it. <3 So what better to collect than that? Unfortunately, when I joined this community, my collection was very small. I'm talking teeny, teeny tiny. Now I haven't sorted through my cards so I'm sure I have some there, and I HAVE since ordered a few more things from members. (Thank you all!! <3) But at that moment, this tiny guy was all I had. I'm okay with it! It was certainly a start. Since joining, I've already acquired 4 mini-models, three of which I purchased from shiningmew, and the fourth which I received as a gift from my close friend (and whom I have to thank for dragging me INTO this money-sink of a hobby) wutastic! I also got a few flats and have a Kid figure on the way at some point, but I'll have to total everything up and take photos later. OH and I got some MIP dogtags from Ebay - a bit of a risk, but I hadn't seen booties of those, and sure enough they're 100% legit and only cost $4.50 shipped. Nice find, eh? I have the opportunity to get a MIP Charmander marble bag for about $14 shipped. Is that a good deal? It's an auction that ends in 7 hours and I honestly have noooottt looked at MIP marble bags before and don't know if that's high, normal, or low in terms of price. o_o A little help please? - Anddd I received sales permission from denkimouse quite a few years ago. Reminder to pay! And a few wants! Hi everyone, so my auction went well, I made quite a bit more than I thought but sold less items than i wish I would have! On that note I'm still needing payment from dialny, bellyofthewolf, kriscarmi, natsume_85, furrettails, scraft_work, rhys107, milomilotic11, noraluvr58. I know few were still waiting on shipping prices but I should have commented to you on it. I do expect payment by the end of today or i'm afraid I'll have to leave negitive feedback! :( unless you have contacted me, and let me know you need a bit of time and set a date that you will pay, I am assuming you will pay today. Also if I listed you and you have paid then nevermind this notice ^^. I have some plushie wants! Dark/shadow lugia pokedoll my hubby really wants this, and I wanna get it for him! and I'm also wanting something big, something huge, something that will be expensive haha. Not sure if i want a legendary dog or a lapras, or a new pokemon from black and white, but I want one of those super big plushies! I kind of got a little addicted to Snivy plushes lol. I found the european talking one in a GAME, bought it and couldn't stop @w@. I'll need to make a proper update with all of these things in the future, but for now I did update my collection site with all of the items, so check there <3 Also, If I've forgotten to give you feedback, let me know! I tried to go back and give feedback to everyone I bought from if their items came for me in the mail but I probably missed someone. 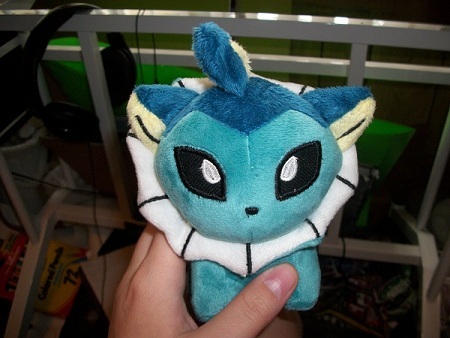 I bought an eevee, vaporeon, jolteon, and flareon pokedoll from Ebay awhile back before I had found this community. I knew for a fact that all were fake... except I was unsure about Vaporeon. The moment of truth! Is this real? My questions have been answered! Thanks! D: I need to know! Hey guys! 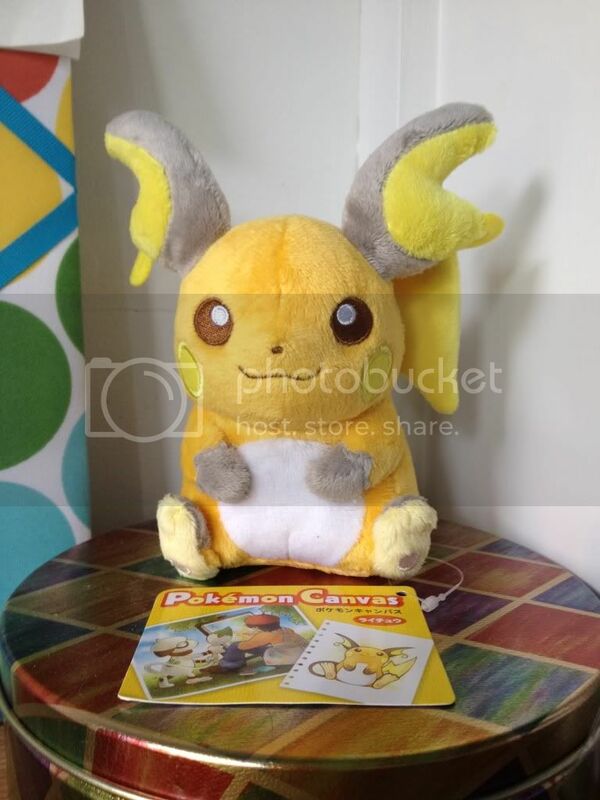 Something has come up and I must sell my MWT Raichu Canvas ASAP. I'm asking $25 shipped. This time I would want to auction off a few of my repainted totally custom items. Hello everyone! I hope you are all doing well. I usually get a case to go with my phone, and I'm definitely interested in trying to get my hands on this one since it's pokémon but doesn't scream it. (plus there's munna on it! bonus~) Would anyone be able to point me in the right direction to getting one? Hey guys! 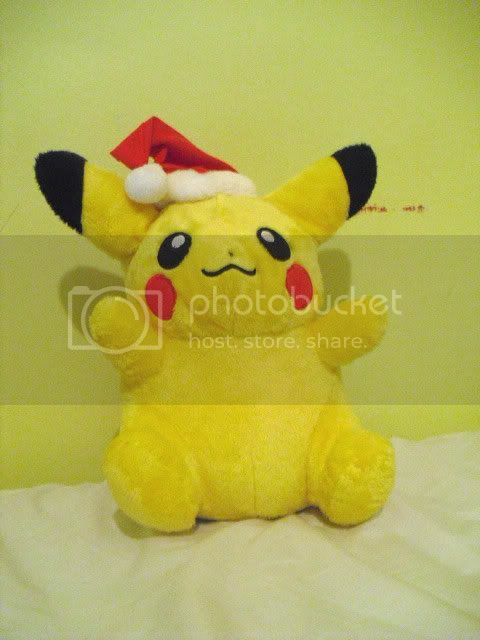 Recently, I bought a lot of plush, and included was this Santa Pikachu! It's so cute and so incredibly, indescribably soft! 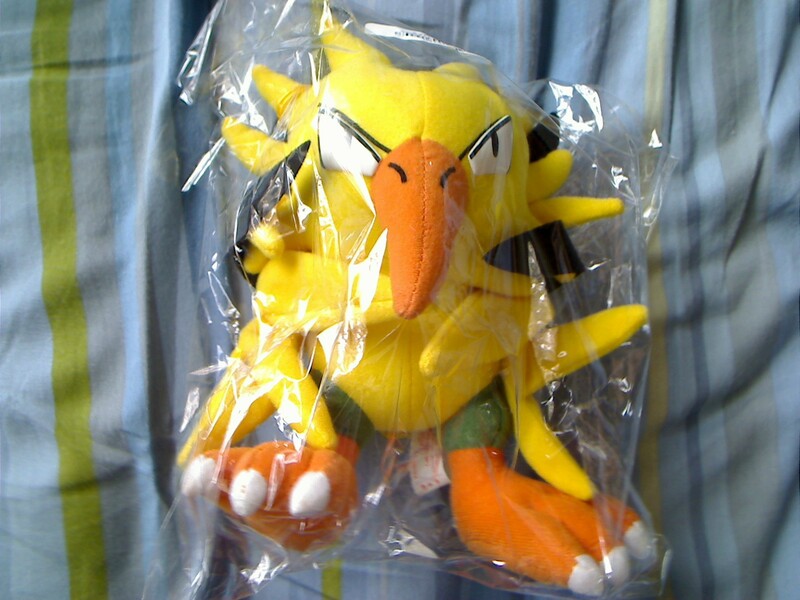 I had never seen one before, so I looked it up on PPP and it said that it was from the set "Promotional Plush". Which promotion? By "promotion", does it mean it was limited to a certain number and given away like some of the other campaigns? Or was it only available for a month? 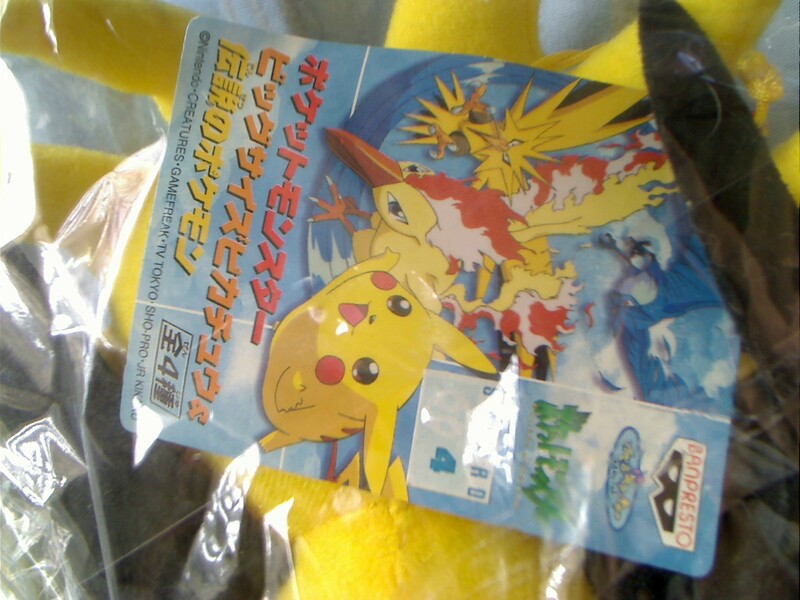 How rare is this plush and how much does it usually go for? All I know is what's listed on PPP. ): I kinda want to keep it, but I also kinda want to put it up for offers. Oh, conflict! So, right now I'm searching this certain plush. If you have one you're looking to sell, please let me know! Sales permission granted by entirelycliched on April 2nd, 2012. Feedback here. Grails, Shinys, Zukan! Yup, collection update of epic proportions. I've also send off 20 of the 26 parcels from this GA, you should start getting them sometime this week people from the US. *Andrew1374,*Sneadres, *Umbreongirl, *Know, *Milomioltic11. And *Joshpho, I'm not sure if you paid or not since you commented on the actual post. Just lemme know cuz I might of just missed seeing your payment or something. All of you please come over to this post to look at your totals and send your payment! Thank you! Thanks for listening to my grail babble! And many thanks to everyone who's helped me get all these amazing new gets!